Window and door fittings are used as functional and decorating components in buildings, for example on windows, doors and window shutters. Claspsing and moving as well as blocking against mishandling and burglary protection are their central functions. A distinction is made between tilt and tilt-turn fittings, sliding and fittings with parallel wings of alienation. 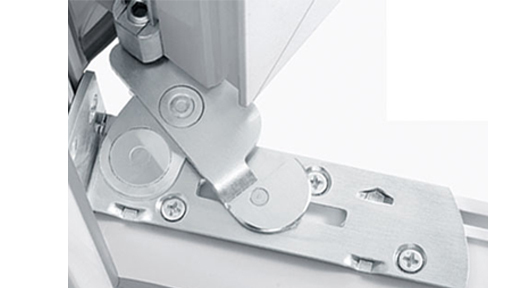 Exemplary components of window fittings are gearbox with handle, window hinges, the vertical moulding, corner linkage gear, shear with stay bearings and locking mechanisms for the tilting and rotary positions. Window fittings are integrated in swinging and turning wing windows, tilting and folding leaf windows as well as in sliding windows. The door panels and doorframes of the hinged doors are equipped with fittings which are necessary for the function. Optional door closers are available. Automation components can be installed to increase comfort.